at the coming of our Lord Jesus with all his holy ones. Amen. you do so even more. 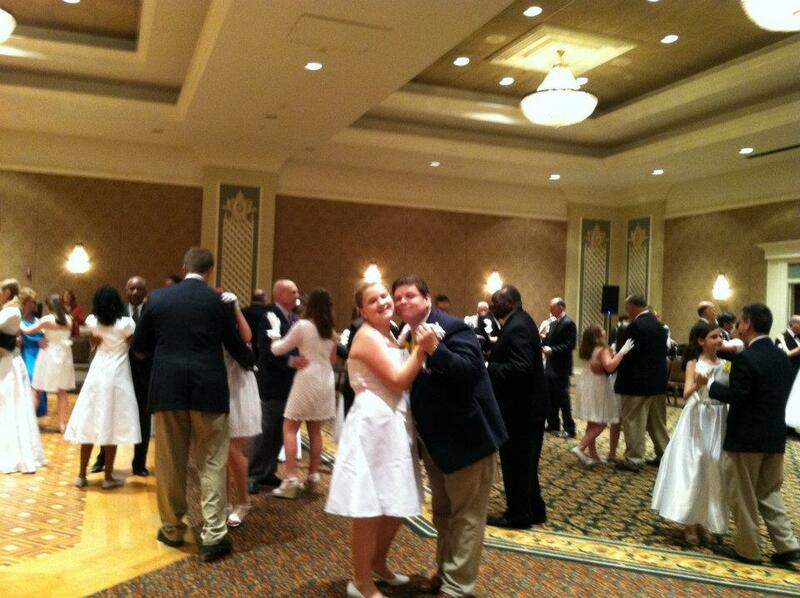 Over the years, my children have participated in cotillion programs. These experiences teach young people about manners, social skills, and formal dance. Some think these programs only exist for wealthy or upper class people. I am neither one of those. I am just a parent who thinks manners still matter, that being social is a useful skill that can be learned, and that a little culture goes a long way. I can’t say my children loved everything about the experience, but they did grow in appreciation of how you should treat other people. I would like to think somewhere down the road they will find themselves in a situation and will call on what they learned to succeed. Cotillion, school, team sports, and youth ministry are all ways we prepare our kids to enter a world where Jesus Christ is seen as a foreigner and how we live with one another is not a top concern. We teach them that they must always be ready to stand up for what’s right or defend their faith or values. They must continue to cultivate those small seeds we plant in them in order to grow and bear good fruit, for their lives are gifts and the time they have been given is precious. Good stewardship is not always about that which we can quantify or see. Who we are as people is often about that which we offer as gesture to others. It may be a kind word, a witness to the power of God, or an offer for a dance. But we must always be ready to give of ourselves graciously for we never know when the call will come.